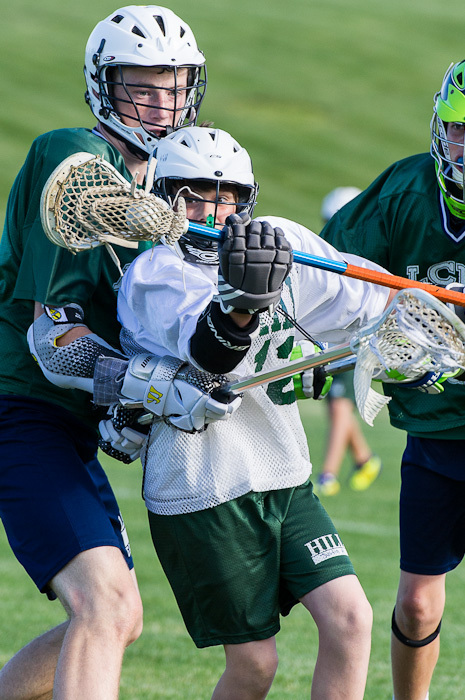 This week’s Hill lacrosse schedule included a game against Loudoun Country Day School and a rematch with Powhatan. I felt a little more comfortable photographing the games this week and started to anticipate the action better. We have some super talented players, especially those in the eighth-grade, such as Harry, whom I enjoyed following with the camera this week (love the expression on the LCDS player’s face as Harry charged by). 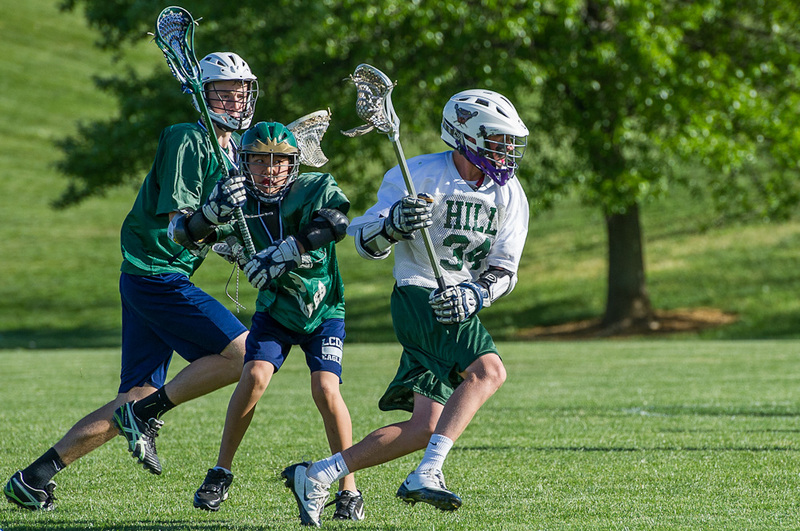 Due to a smaller number of boys in the seventh and eighth grades, Hill had to recruit a group of sixth-graders onto the varsity team. Out on the field, you can really see the size difference, but our scrappy and athletic sixth-graders hold their own! Maybe it’s their diminutive stature that also helps them slip in between those hulking eighth-graders to get into shooting range, because the sixth-graders even notched a few impressive scores. 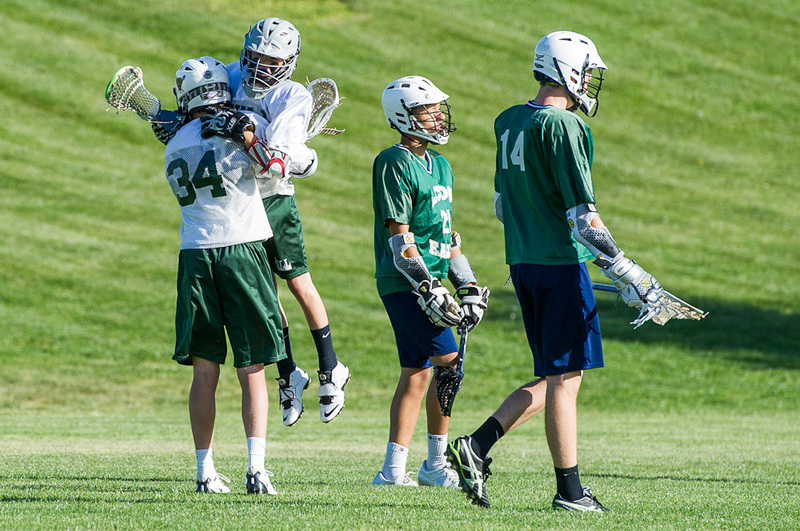 Harry and Jack C. (Sixth-Grader) celebrate a score. 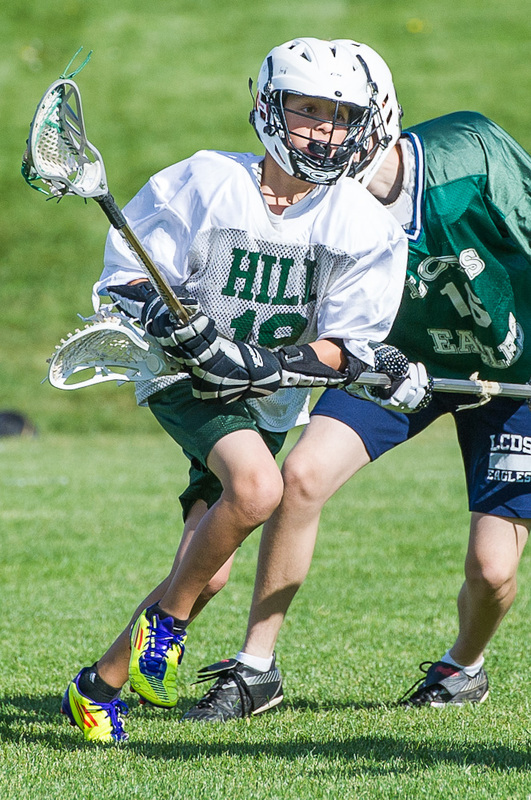 Cameron never played lacrosse until this spring, but he’s quickly found yet another sport he loves and is developing into a valuable team member. He came whisper close to scoring this week in the varsity game but did get his first point in the JV game (the sixth-graders play on both teams). Just like Cam, I’m having a blast learning a new sport this spring! 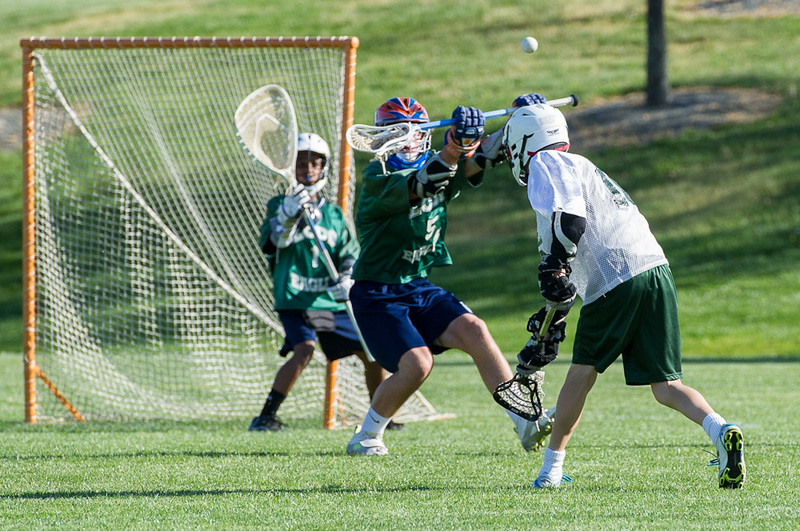 You were really able to capture the action and the energy of the lacrosse game. Great pictures that give an good impression and feel of the sport. Fantastic photos of a fast moving sport…well done Tricia!! !